As much as Ashtanga’s asanas are elaborate, it highly pays off in the body benefits department. Doing it properly can do wonders not only in your limbs but also in your whole system. This sun salute in eight limbs is truly bringing a glimmer of health and mental benefits for yogis. If you’re looking for reasons to start this yoga regimen, here are the ten amazing Ashtanga yoga benefits on the body you’ll gain. Ashtanga yoga’s rhythm is dictated by yogic breathing called Pranayama. This requires a yogi to utilize his thorax and abdomen to pump air in and out of the lungs in massive amount. The deeper the breath, the higher the vitality is. Aside from strengthening lung muscles, the breathing practice for this routine also increases the oxygen level in the body. The massive inhales and exhales help flush out mental, emotional, and environmental toxins. It’s believed that Pranayama helps restore the body to its original health state. Lack of oxygen makes body toxins sit inside the joints and spots that have low oxygen levels. Yoga requires you to flex that sleeping muscles and sweat the toxins out. And in the case of Ashtanga, you’ll definitely achieve body flexibility with its rigorous asana routines. 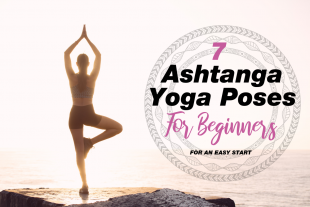 If you haven’t touched your toes the entire time you do that stretching, you should consider doing Ashtanga as your regimen. However, you should note that this benefit-as well as others-will manifest after a few weeks. Forcing yourself to reach your feet on your first Ashtanga class will end you up with a sprained Achilles heel. Ashtanga is a holistic routine and it establishes progress slowly but surely with different levels of posture complexity. 3. IT’S GOOD FOR YOUR HEART! If you’re the type who easily runs out of breath after a mile of jogging, you badly need to improve your cardiovascular system. The good thing is that Ashtanga Yoga benefits on the body also do this during the challenging routine. Each unique pose keeps your heart rate up, thus invigorating your heart muscles. You get to build your flexibility while strengthening your heart for more complex Ashtanga routines. Most yoga types focus on building flexibility but rarely improve heart wellness. Though it’s a typically strenuous routine, Ashtanga isn’t one to neglect mindfulness, thus a perfect practice for total wellness. Cardio routines aren’t made tiring for naught. The sweaty asanas of Ashtanga will definitely burn excess fats and your guilty calories at lunch. Some yoga postures target to tone the muscles on your tummy and before this routine can do that, it will first peel off that layer of fat. Ashtanga is one of the famous physical regimens for weight loss buffs with its highly active workout. However, you should avoid doing this yoga if you have back injuries or other medical conditions. You should consult your doctor first before embarking on this yoga class. The breathing patterns intend to remove any form of toxins in the body including mental clutter. For Ashtanga Yoga benefits on the body to be effective, it needs total mind and body alignment. This requires you to face arising thoughts and learn to let it go. That practice will result in a happier mood and a more relaxed feeling. Ashtanga’s repetitive routines will allow you to master the movements and focus on the breathing on the following days. This is effective to achieve mindfulness meditation. Studies find that when you meditate and do yoga, the limbic system in the brain responsible for emotions and learning gets bigger. The flexy movement of Ashtanga asanas intends to improve your muscles, and yes, including those abs. If you want to have toned arms and firmer chest, you should start doing Ashtanga. When your body starts to sweat and the temperature begins to rise, your muscles become more flexible and easy to tone. The most important thing about toning your muscles is you get rid of bad fats. This is crucial when you’re harboring those excess fats in the midsection where the majority of your organs are found. Ashtanga’s asana series help achieve this goal. Just be patient about it and it will pay off. Ashtanga makes use of the breathing pattern called Ujjayi where a slight contraction in the glottis produces an ocean-like sound. This breathing will require you to take deep, long inhales and exhales to increase the oxygen supply in the system, thus producing Ashtanga Yoga benefits on the body. To add, pulmonary hypertension happens when there’s a critically low oxygen level in the blood. When you practice Ashtanga, it can fix this deficit in the bloodstream. This will prevent any potential blood pressure-related illnesses. Many studies already proved that yogic breathing has high positive effects on maintaining blood pressure after a long practice. Yet again, Ashtanga yoga focuses on improving the link between your body and mind. This includes letting go of negative emotions and removing bad energies in the entire body. This routine also requires full emotional stability to reap the fruits of wellness. Ashtanga addresses the emotional side during the meditation period. It allows yoga students to reflect on their thoughts and appreciate what they currently have in life. This may be hard to achieve at first, but after long-term exposure and mastery of the asana series, you can focus more on rejuvenating your body through the mind’s eye. Once you achieve calmness, you’ll be surprised that Ashtanga Yoga benefits on the body also improve your creativity and focus on daily activities. Ashtanga yoga is a way of life, and once you achieve this state, you might probably be devoted to a yogic diet already. The rule of thumb in this diet is that food should be easy to digest and far from processed and artificially flavored food items. When you do this during a serious Ashtanga meditation, your digestion would only take about four hours instead of the usual 24 hours for most people. This makes your body free itself from solid toxins while you remove other clutter through breathing patterns and asana series. There are also beliefs that doing asana that target the midsection can also boost the digestive system’s functionality. Ashtanga Yoga does this synchronization through “Vinyasa”, meaning breath synchronized with movement. During this routine, you’ll experience body awareness from head to toe while using every body part to achieve a certain posture. Long-term practice of this leads to better body movement and more synchronized movements for sports and other active hobbies. Also, this synchronization inside the body produces heat which in turn frees and purifies the system from toxins. This sync also increases focus and brain functions aside from reducing mental clutter. Synchronization plays a big role in Ashtanga’s ability to improve core strength and tone body muscles. These Ashtanga Yoga benefits on the body are so overwhelming. Many had already been starting to adopt the asana series in the comfort of their homes. But if you like to have a more holistic approach, you can easily find an Ashtanga Yoga class near you. Have you tried Ashtanga yoga before? Share your experience with us in the comment section!